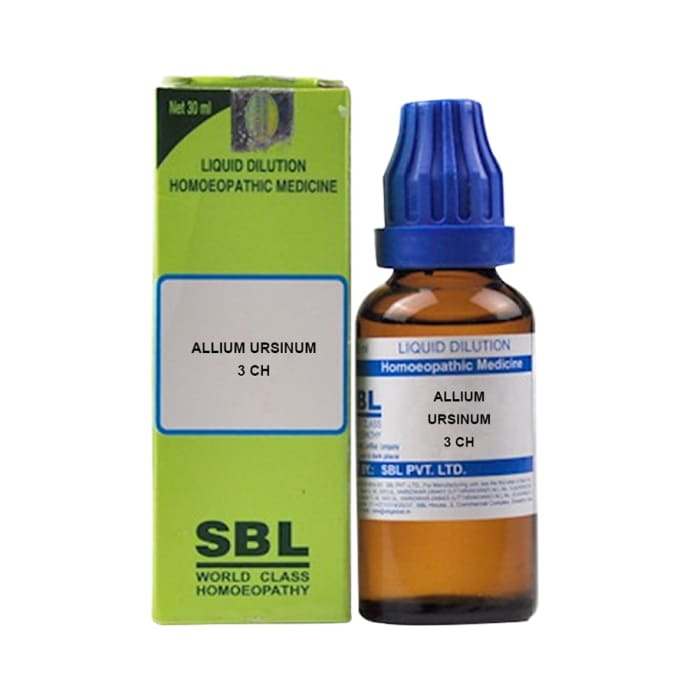 SBL Allium Ursinum Dilution is an homoeopathic medicine that is formulated from the plant Allium Ursinum . It helps in improving the viscosity of blood and reduces thickening of blood vessels. It is also effective for weight loss and helps in getting rid of periodic pains all through the body. It is effective in addressing joint pains with redness and swelling. Unhealthy fat accumulation in the body can also be addressed using this medicine. Take 3-5 drops 2-3 times in a day or, as directed by the physician.